To begin his article highlighting the importance and value of cross-training employees, Cancialosi likened it to a combat operation in the military. Once a member of your team is injured or killed does that mean the entire group decides to call it a day and accept failure? Cancialosi draws parallels between this situation and what is happening within the corporate world, citing the inability of companies to effectively weather the loss of a key employee. 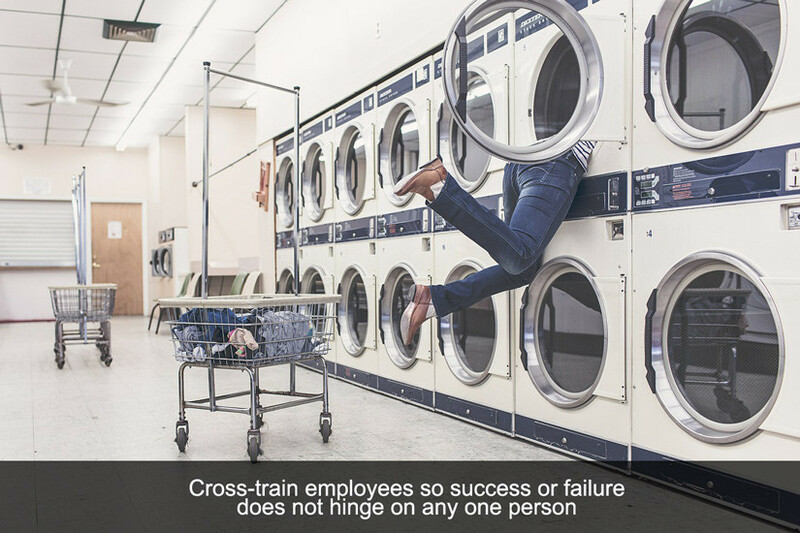 Rather than relying on top employees to carry the company, the writer instead says it is important to cross-train employees so success or failure does not hinge on any one person. Some of the many benefits of cross-training mentioned in the article, aside from the ability to remain unscathed by an employee moving on, include durability, agility, flexibility, efficiency and team work. Cross-training is a valuable way to boost employee morale and remain on-track during temporary and unexpected absences by key employees. Ultimately it is a way to improve your corporate readiness for any number of situations and make you stronger in almost all areas. Cross-training also helps employees more easily see the bigger picture of what their company does and how that fits into a long-term trajectory. Finally, cross-training can help employees at all levels feel as if they are substantially contributing to the workplace and that their bosses are entrusting them with more responsibility, often leading to a reduction in turnover and more leadership development opportunities from within. With all of the above benefits accompanying cross-training, it is still important to be strategic and develop a detailed plan of how this type of training and development will be implemented and delivered to employees. Evaluate your business to determine where cross-training would be most beneficial. It may not be most efficient to have everyone in an organization train on every other position, whereas if you are a very small business this can be advantageous. Begin this process by defining what each position and role entails within your organization, then gauge where there may be current or potential gaps that can be addressed by cross-training. Begin the development process from this point. When looking at where you can utilize cross-training in your organization, it is also important to realize not every position or responsibility within a particular job is going to be applicable. Some components of an employees’ job may be too technical or too skilled for cross-training to be a possibility, whereas other elements may be ideal for this type of robust training. Position cross-training as a reward. It can often be most beneficial to allow employees to decide whether or not they will participate in cross-training—otherwise, there is the risk employees will begin to feel resentful or overburdened. When you position this type of comprehensive training as a reward for a job well done, or as a stepping stone toward leadership, you are going to have employees who are more engaged in the process. Issuing recognition throughout the cross-training process can also be a good way to keep the momentum going. Employers should understand cross-training is challenging and it can be overwhelming to learn new skills and fulfill a new role within an organization—keep this in mind and adjust employees’ workload in other areas if necessary. eLearning makes a great tool to deliver cross-training because it allows the learner to feel less burdened through the ability to learn at his or her own pace, skip unnecessary information and complete learning in a variety of settings. Involving leadership in the cross-training process is a great way to improve employee morale. Research has shown employees who feel their bosses are both willing and able to jump in and “get dirty” with their staff are happier with their job overall. Does your company employee any kind of cross-training? If so, do you feel it boosts engagement and retention amongst employees?